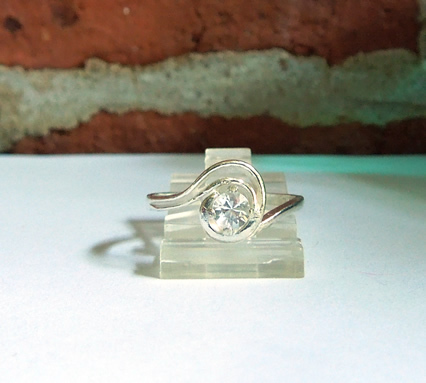 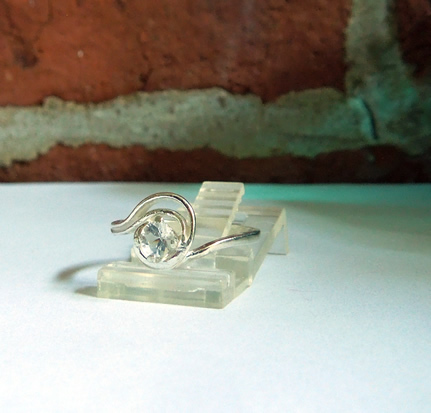 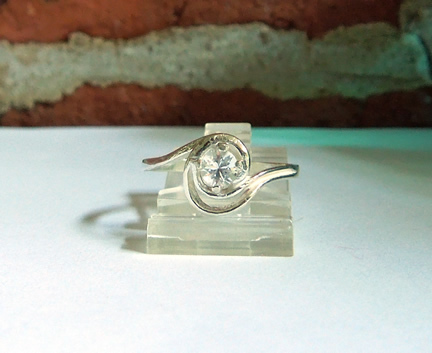 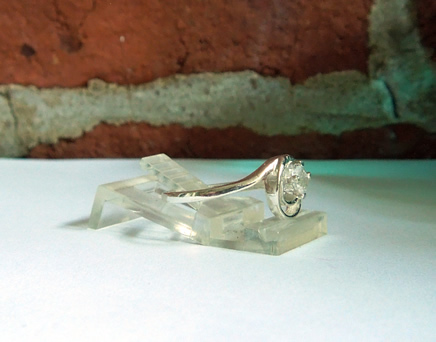 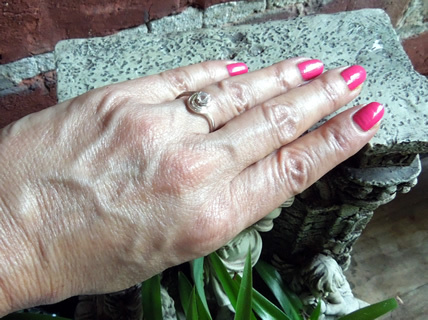 Notes: A small clear cut Herkimer quartz crystal sets in a sterling silver swirl ring setting. 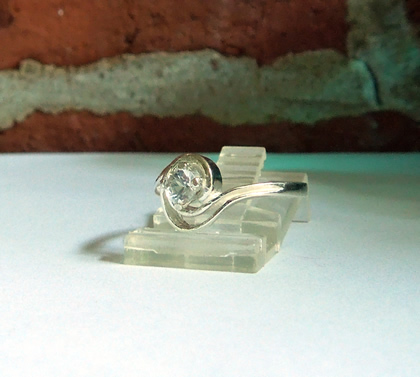 The round cut gemstone measures 4x4 mm / .5 ct. 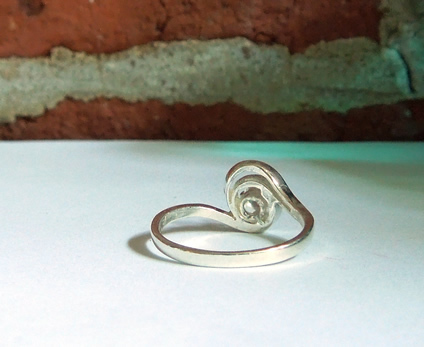 It sets in a pretty silver swirl size 7 ring setting.